Whether you are new to our monthly potlucks or a faithful part of the community we are excited to kick off a new year. 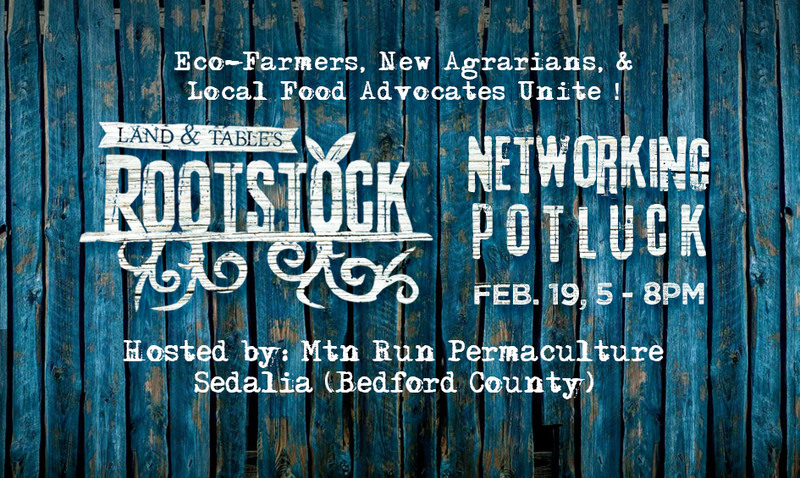 Join us for our first 2019 networking potluck on [CANCELED DUE TO WINTER WEATHER] (5-8pm; eating starts at 6pm) in northern Bedford County (Sedalia), hosted by Mark and Allison Angelini of Mountain Run Permaculture. (PLEASE NOTE: While this is Mountain Run Farm – it is a house, this is NOT the Showbarn and it is NOT the camp). CANCELED DUE TO WINTER WEATHER. 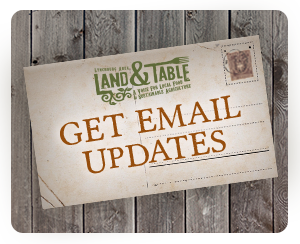 7:00-8:00 | More networking, discussion about possible changes coming, top secret things, etc. If you appreciate these potlucks say thanks by bringing a cash donation for our Tips jar. Thank you! Inside toys/books if you have kids. Kids are welcome by the way but there is no child care.